Abyssal Persecutor ($0.67) Price History from major stores - Worldwake - MTGPrice.com Values for Ebay, Amazon and hobby stores! 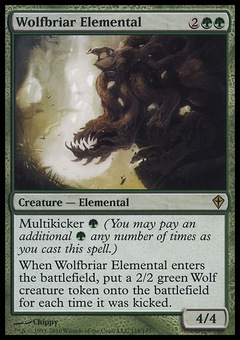 Card Text: Flying, trample You can't win the game and your opponents can't lose the game. 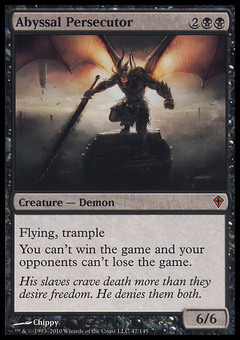 Flavor Text: His slaves crave death more than they desire freedom. He denies them both.